A key component of a future gravitational wave observatory passed a series of tests with flying colors, while coming closer to experiencing true free fall than any other human-made object ever has. At the heart of the experiment is a two-kilogram cube of a high-purity gold and platinum alloy that is currently sailing through space almost completely free of any force other than gravity. The LISA Pathfinder test mass is made of high purity gold-platinum alloy. At current prices, the raw material would fetch about $70,000, not counting the expense of machining and polishing the precise shape needed for the experiment. Image Credit: European Space Agency. The Laser Interferometer Space Antenna (LISA) Pathfinder mission is a European Space Agency (ESA) project that proves in principle that a formation of such cubes flown in space will be able to function as a space-based gravitational wave observatory, which will be able to detect signals from supermassive black hole collisions and other violent events that would be impossible to see on Earth. A paper detailing the experiment appeared today in the journal Physical Review Letters. The free-falling test mass, as the gold and platinum cube is known, is nestled inside the shell-like LISA Pathfinder spacecraft, and has been orbiting a location in space called Lagrangian Point 1 (L1) since February 2016. 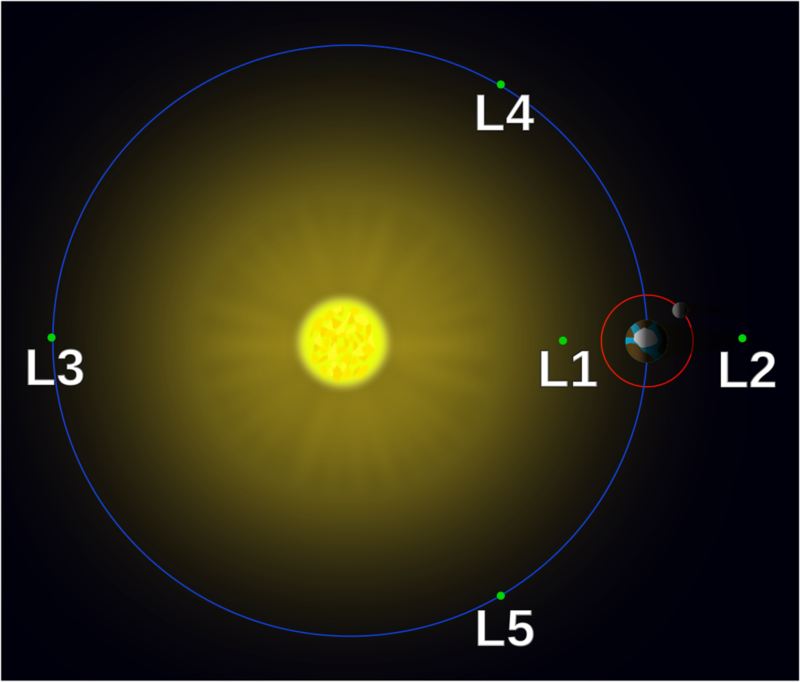 At L1, the gravitational pull of the Earth and Sun are such that objects near the point execute orbits around L1 in much the same way that a satellite orbits the Earth. The LISA Pathfinder mission is a crucial test of systems that will be incorporated in three spacecraft that will comprise the Laser Interferometer Space Antenna (LISA) gravitational wave observatory scheduled to commence in 2034. The LISA observatory will follow an orbit around the sun trailing fifty million kilometers behind the Earth. Each LISA spacecraft will contain two test masses like the one currently in the LISA Pathfinder spacecraft. The LISA Pathfinder mission’s extraordinary success is a crucial step on the way to launching the LISA observatory. In order to detect gravitational waves, the LISA test masses must be protected from anything that might jostle them in flight. Even sunlight produces forces that would disturb the masses’ motion enough to swamp gravitational wave signals. To test such protective systems, the LISA Pathfinder spacecraft is equipped with an array of thrusters that work to keep it properly positioned around the freely falling test mass. Electrodes adjacent to each side of the test mass cube detect the relative locations of the test mass and the spacecraft. The thrusters fire as necessary to ensure that the spacecraft moves in a way that allows the test mass to follow its orbital trajectory as undisturbed as possible. In the LISA observatory mission planned for 2034, lasers will be used to measure the distance between test masses housed in spacecraft flying in a triangular configuration about a million kilometers on a side. Tiny changes in the spacing of the test masses will indicate the passing of gravitational waves. The LISA Pathfinder spacecraft contains a second test mass that, along with the test mass in free fall, is part of a minuscule equivalent of one leg of the triangular LISA formation. The masses are separated by only about a third of a meter, which is millions of times too short for the detection of gravitational waves, but is vital for testing the systems that will eventually make up the LISA observatory. The experiment showed that relative motion of the two test masses involves accelerations less than a tenth of a femto-g (a tenth of a millionth of a billionth of Earth’s gravity) over the frequency ranges the LISA observatory will monitor, which is well within the observatory’s design threshold. Even with the intricate system to protect the test mass from spurious forces, the LISA Pathfinder spacecraft doesn’t perfectly shield it. However, the cube is effectively protected tens of thousands of times better than has been achieved in any previous experiment in free fall.